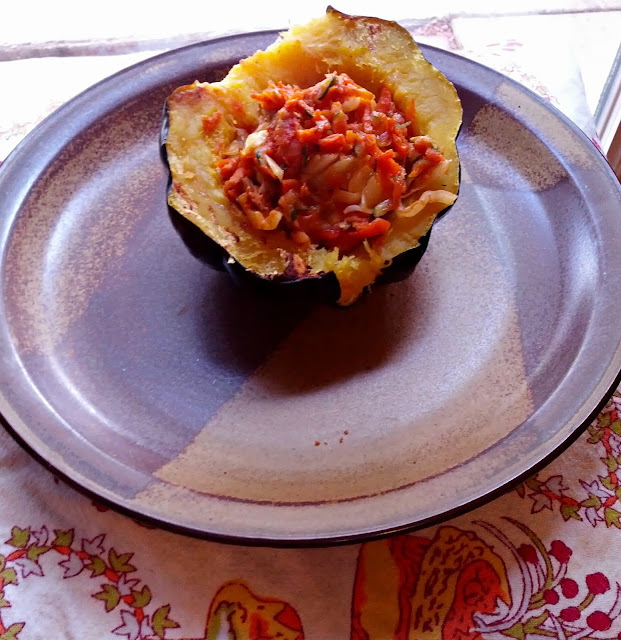 From my last post with WIAW, you saw my delicious acorn squash... I had leftovers of the recipe I am about to post. My goodness, I LOVE acorn squash. You can do so much with it! Saute it, make it sweet or savory... my person favorite it just to bake it in the oven. However, maybe that is because I have yet to TRY it any other way... I need to be more adventurous next time I prepare one. Whats even better, is that fall is right around the corner, so these babies are in season! I have been seeing them at the farmers market when I go each weekend. Local+In season+Tasty+Healthy= Awesome. Anyways, when I was at the farmers market last, one of the nice ladies mentioned I should try grating some of the squash I bought and sauteing it. 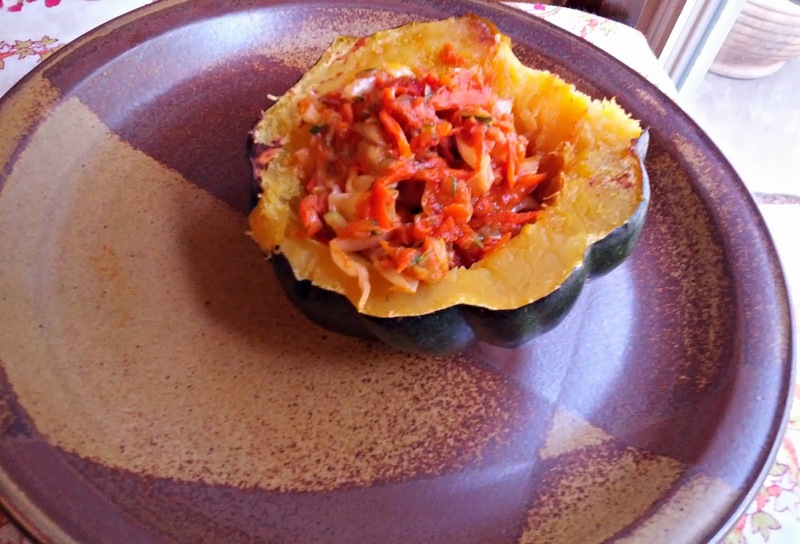 You know, kind of like "noodles" I will use it in a "pasta" recipe for sure, but for this meal, I just decided to combine the two ideas (shredded squash with well, more baked squash...) and YUM! The textures are nice and the flavors float well together. Anyways... on to the food! 1) Bake your acorn squash, wrapped in foil, in a 450 degree oven for 30-40 minutes, or until its soft and some juices have escaped. 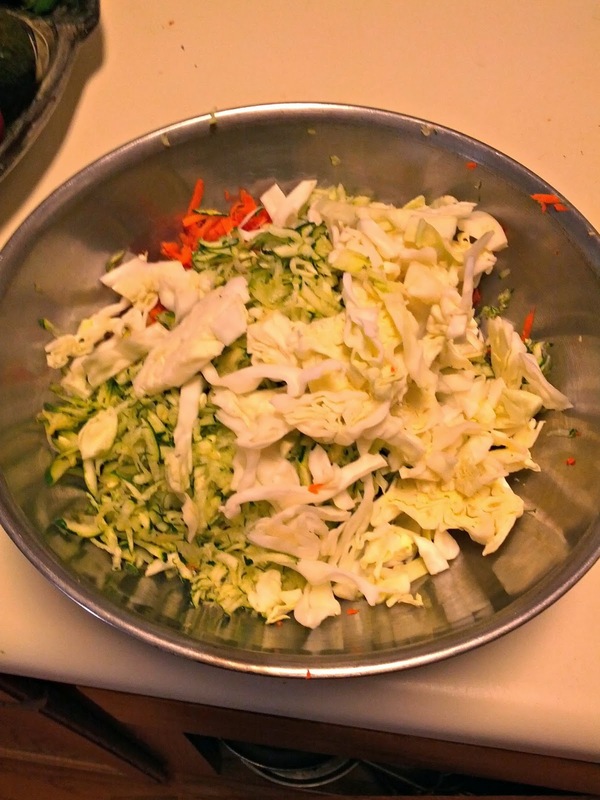 2) Grate them veggies up (not the onion)! This is really fun to do, actually. Its crazy how much mass three little veggies create. It's awesome to watch the pile grow! I placed my shavings into a bowl as I proceeded. 3) Heat the coconut oil over medium high heat in a pan. 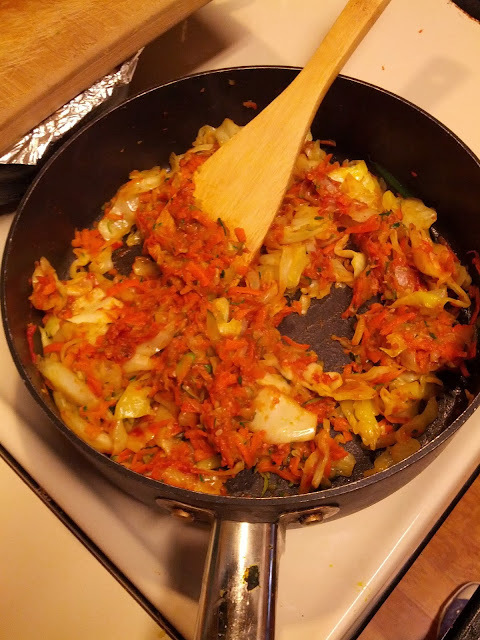 Saute your onions until tender, then toss in grated veggies. Saute for about 5-7 minutes. 4) Toss in your spices and tomato paste, and add the stock. Stir until combined, and the paste thins out slightly. Cover, and turn down heat. 5) Cut open your acorn squash, remove the seeds (if wanted), and stuff with your veggies. Enjoy! This recipe was not only super fun, but REALLY crazy easy. 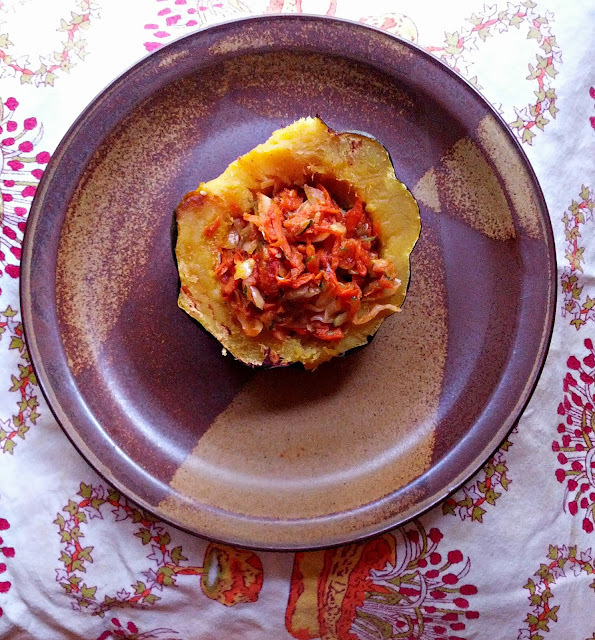 What are some ways you use acorn squash? 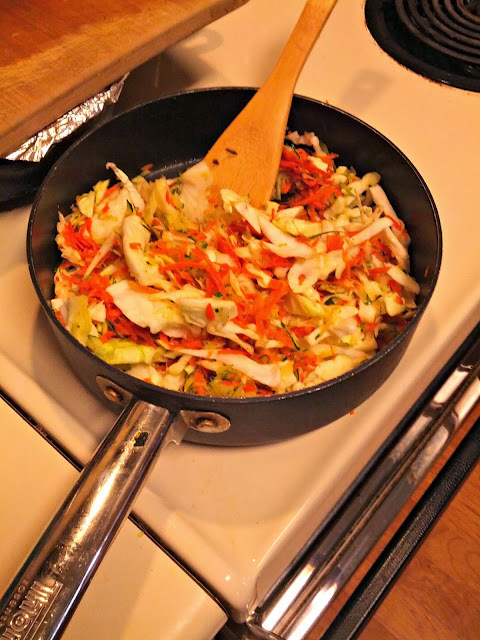 How do you get your kids involved in the kitchen, and how do you get them to eat healthy? By the way... I think I may start leaving off the names of the recipes of the pictures of them. What do you think?